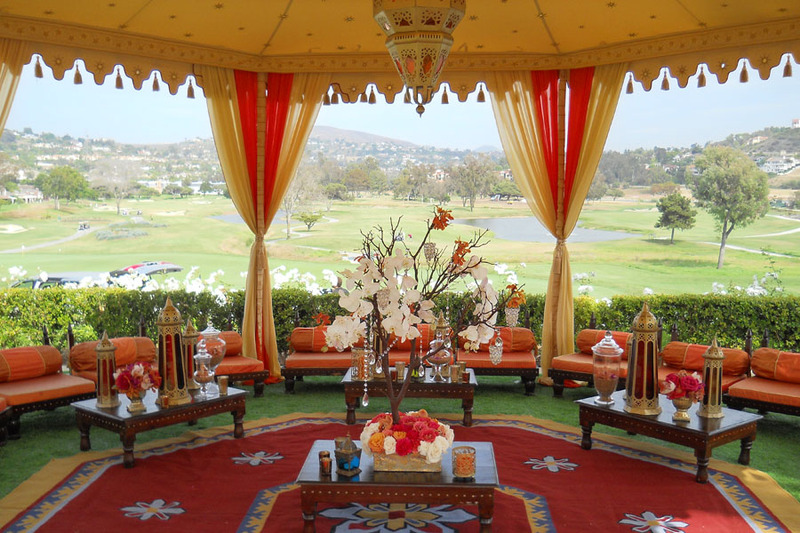 Check out our new Indian Wedding Thrones and Indian Wedding Swings – known also as Jhula or Jhoola available for rent in California for Indian Wedding Ceremonies. Indian Weddings can be very elaborate with families wanting to pay homage to the rich tradition of their culture by following the form of the pre-wedding events as well as the ceremony. 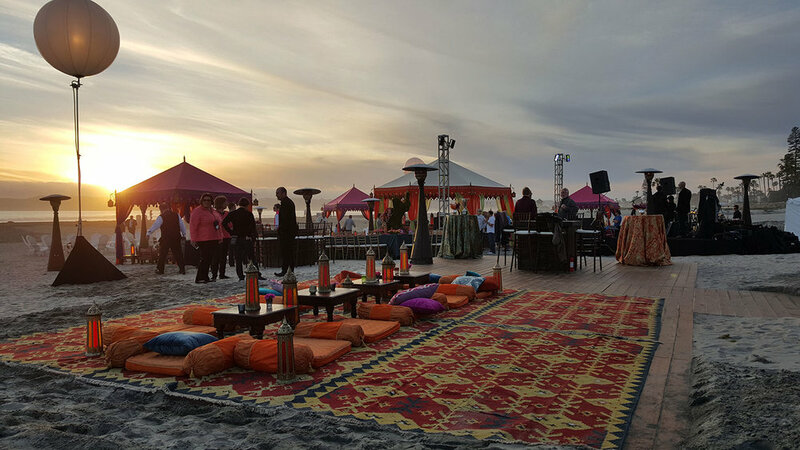 Authentic furniture creates the right atmosphere and allows room for fun as well - Raj Tents’ Divans are also a great way to spice up a Mehndi or Sangeet; mix them together with our Raj Tents’ Lounge range of low furniture and the Boho Chic range for an wonderful East meets West feel. 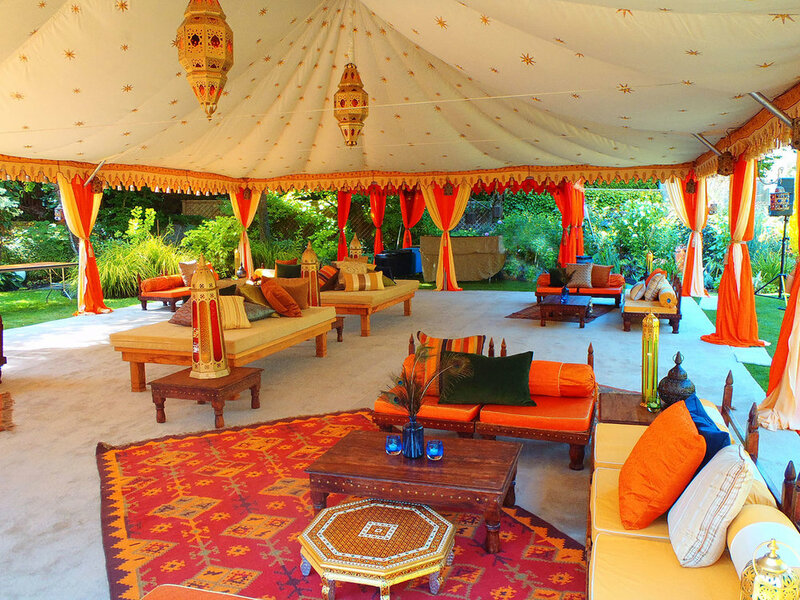 Raj Tents low lounge furniture is a classic style inspired by the Mughal Kings' gala furnishings. 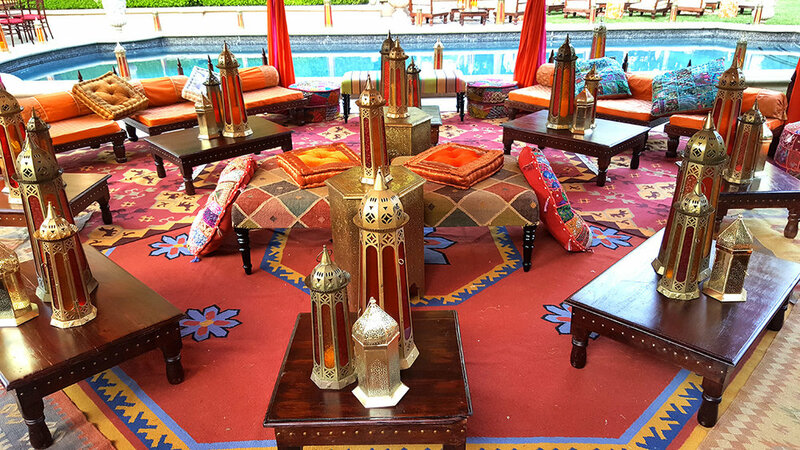 Hand carved hardwood chairs and tables with colorful silk upholstered cushions and bolsters. 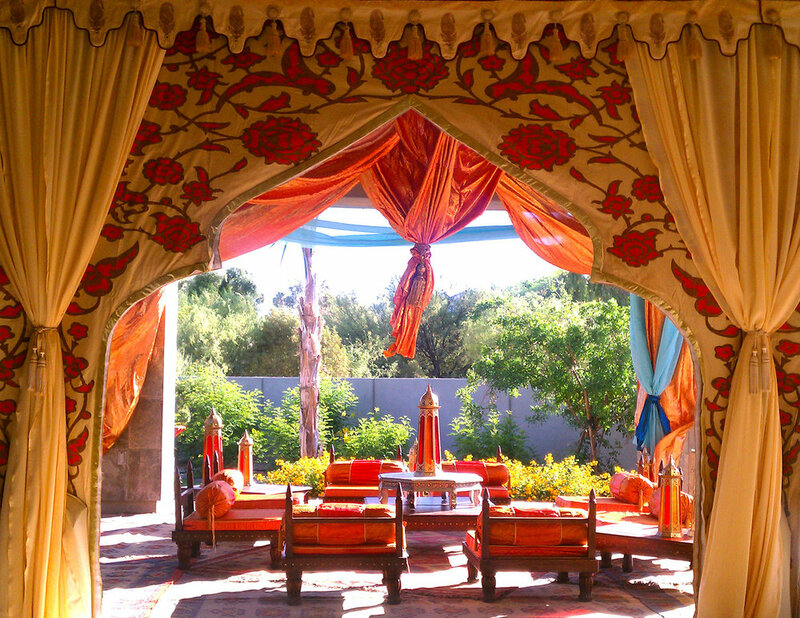 Perfect for a Moroccan, Middle Eastern or Indian themed lounge. Colorful poufs in different sizes and styles, seat cushions, throws, upholstered benches, metalwork tables, antique brass tray tables and different styles of standing lamps for a 'gracefully flung look'. Traditional lacquer Indian Wedding Swings, known as Jhula in India, together with Indian Wedding Thrones for the bride and groom to sit regally at their reception. Available in both Ivory & Gold and Red & Gold, to bring an authentic touch to Indian Weddings.